Most of the beers I have been drinking from Hill Farmstead lately have already been reviewed; Edward, Abner, Society & Solitude #5, etc. However Shaun continues to produce single hop varieties of his pale ale and the Amarillo version was a new one for me. I am far from a hop expert; I know I like them, lots of them but when it comes to the different characteristics I have to look them up. 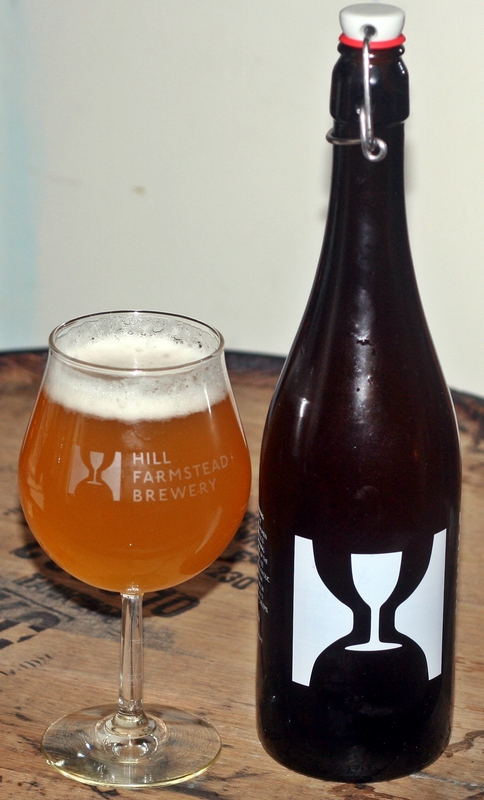 Like many other Hill Farmstead beers this pours a nice hazy orange color with a clean white head that left great lacing on the glass. Aroma has plenty of tropical fruits and is slightly dank. Taste was dialed back a notch from the aroma but had the same characteristics with a dank and slightly bitter finish. Overall I really enjoy single hop beers and will look for more single hop pales, IPAs and DIPAs in 2014.